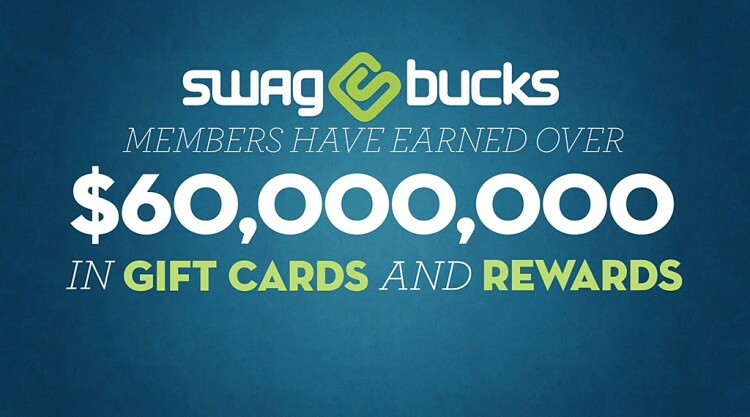 One of the most fun and rewarding programs, you can rest assured that Swagbucks is legit. They have tons of opportunities to earn, and are known for reliable payouts and great customer service. As with any program that offers to pay you for doing simple stuff like searching the Internet and playing games, people are very interested in whether or not Swagbucks is legit or a scam. Will they actually send you the rewards as promised? Good news. All you need to do is a quick YouTube search to discover that Swagbucks is legit, and real people like you have earned all sorts of “swag” from them — even a brand new Toshiba laptop computer. To save you from having to watch them all, here are some of our favorite video reviews of Swagbucks. Danielle is all about free stuff. She claims to have been a Swagbucks user for almost two years at the time this video was filmed. Danielle reviews the basics of the Swagbucks currency and how to use it for items in the Swag Store. She’ll also show you how to use the Swagbucks toolbar to print coupons and earn beauty items and gift cards for doing simple Internet searches. This could be the most awesome testimonial ever for Swagbucks. YouTube user ProductReveiwsIM seems a bit skeptical of the program, but is quickly proven wrong. He can barely hide his excitement as he goes through the unboxing of an actual Toshiba laptop computer he earned on Swagbucks. This YouTube user may be just a touch older than 30, but that doesn’t mean she doesn’t like to earn money online with Swagbucks. She is just another average user that proves Swagbucks is definitely not a scam and handsomely rewards its users for participating in the program. She loves free stuff, because who doesn’t? Several years back, this video was put together by Mad Swag TV to show people how to earn a quick 5,000 Swagbucks. This testimonial goes through an unboxing of a package filled with swag earned using the Swagbucks program. It’s awesome to see a regular guy get so excited when he opens up his reward. The package even contains a personalized card. Here, Robin Reis from AppAdvice Daily goes through a way to make money using the Swagbucks TV app. Using the app and watching videos may be one of the easiest and most addictive ways to earn money using your smartphone. Robin even recommends using the app at work to earn passive income. This is a great tip! Worried Swagbucks may not be legit? Once you see how passionate Earl is about this program, you may feel differently. Earl compares the site to some of its other “get paid to” competitors, InboxDollars and Fusion Cash. Earl may curse a bit, but he is a big supporter of the multi-program approach to paid surveys. For those of you that prefer to use the desktop version of Swagbucks, PokePal117 goes through an on-screen tutorial. If you are unfamiliar how to install the Swagbucks toolbar, you can see a demo of this process in the Chrome browser. Follow the tips and tricks to help yourself earn Swagbucks even faster. As you can see from the variety of testimonials, Swagbucks is a legitimate “get paid to do stuff” program. You won’t be able to replace your job, and you certainly won’t get rich quick, but it’s a great way to add some variety to your paid survey routine and earn a little extra “swag” for your time. What are you waiting for? Click the “Join Now” button below to sign up for Swagbucks in your country.